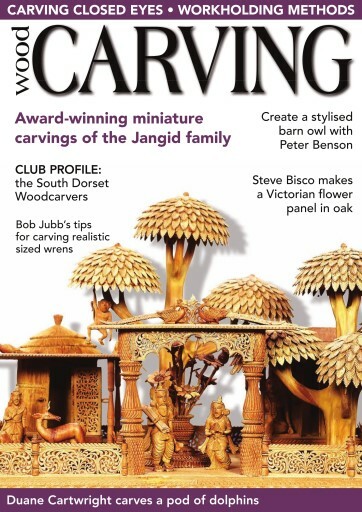 In issue 145 of Woodcarving, we have plenty for you to enjoy. 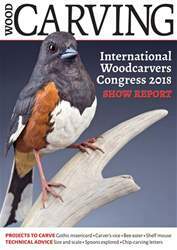 In ‘Techniques’, Andrew Thomas carves a pair of closed eyes; Dave Western looks at Breton festival spoons; Bob Jubb shares his expert tips on carving realistic-sized wrens and Zoe Gertner takes us on a tour of her workshop and discusses holding methods. 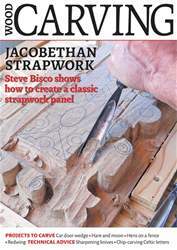 In terms of ‘Projects’, Steve Bisco makes a Victorian flower panel in oak; Wanda Marsh shows you how to power carve and paint a morning glory; Peter Benson carves a beautiful barn owl and Duane Cartwright shows you how to create a pod of dolphins. 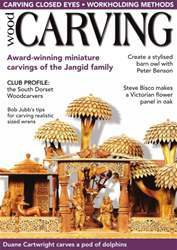 In ‘Features’, we speak to Mahesh, Mohit and Rohit Jangid, of Jaipur, India, who specialise in miniature carving and we take a closer look at the Portonaccio sarcophagus in ‘Art of Carving’. All of this, as well as our usual Carver’s Toolbag, ‘From the Editor’, ‘Round & about’, a sneak peek at the next issue, and we meet the South Dorset Woodcarvers. 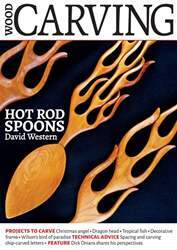 All this and more in issue 145 of Woodcarving magazine!